Penny Reid is just a master storyteller. SHe writes books I didn’t know I needed. I finished Marriage Of Inconvenience in just a day, which I think I deserve a medal for since it was long even by Penny Reid standards. By the end, I was in awe of her ability to not only come up with unique characters and storylines but to make me feel like they’ve always been a part of my life. 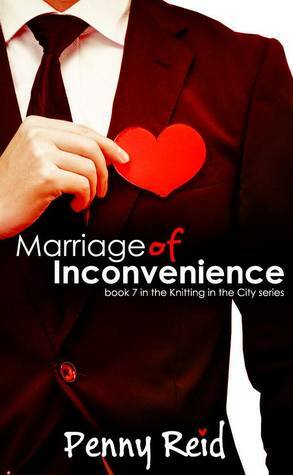 Marriage Of Inconvenience is a slow burn story despite the two getting married early on. Kat and Dan have some amazing chemistry. Speaking of Dan, I loved that foul-mouthed man so freaking much. He was protective, sweet, while still being all manly and alpha. He was the bee’s knees. This was such a fun read and it reminded me why I love this quirky series so so so much!